What is Pokemon War Theory? There is a growing theory that Pokemon Go could be headed toward a major event called the Pokemon War. The Pokemon War would be a massive war that would leave the Pokemon world changed forever! What exactly is the Pokemon War? The theory of a Pokemon War is not knew and has been talked about by fans for many years. Lets take a look at the history of the Pokemon War theory here. Where did Pokemon War theory originate? In the Pokemon Games a young kid is given the dangerous task of taking a Pokemon companion and traveling deep into the wilderness alone to both capture and discover Pokemon. The child is tasked with filling out a PokeDex (Pokemon Database) to effectively prove that certain pokemon exist in a given area. The world the child lives is full of other children, old people but very few normal aged adults. The government seems to be very small with only a few police officers being depicted. The police officers seem generally unable to stop criminal organizations or help the children tramping through the countryside. Fresh water is mentioned as being rare. The world has cities but generally feels like its full of untamed wilderness. Few children seem to have fathers, and many children seem to be outright orphans. None of these things are very well explained in Pokemon. They simply are stated facts for how things are in the Pokemon World. Could some of these things however be hinting at a previous calamity? There are also some direct mentions of a war. In particular the Electric Gym trainer Surge mentions using Electic Pokemon in a war. 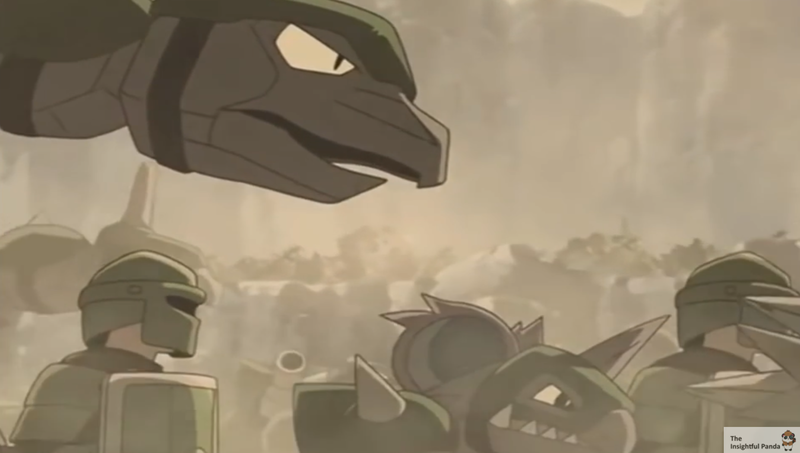 Surge is not the biggest Pokemon character but he does stick out. He is blonde and seemingly American in a world that is heavily based on Japan. 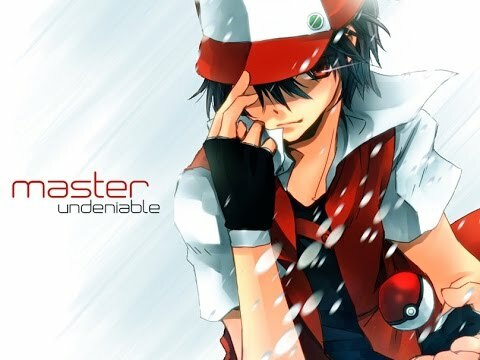 He is also the 4th Gym Leader met in both the video game and the show. There are other mentions of Pokemon Wars such as at Parfum palace that depicts old knights who used Pokemon as weapons and partners. These wars seem to be far older than the one mentioned by Surge however. When Surge mentions a war most players assumed that it would be something expanded upon and explained later in the game. It never was. Not in that game or in any of the preceding games. Most people then move on and forget about it. However, a Pokemon fan created a Pokemon based Creepy Pasta called the Pokemon War Theory. The Pokemon War theory struck a chord with fans in that tied many of the bizarre aspects of the games together with a reasoning that there was something darker lurking in the kids game, a war. You have no father, and your best friend is an orphan. Children are going to a journey around the world. Your mother accepts you as the man of the house, making your own decisions. Old man warns you of dangers around the corner. Most people you meet are children and/or gym leaders. Most adult men are either very old, or have a job related to the military or organized crime. Hospitals and gyms are everywhere, but no forms of entertainment such as movie theaters. "Hey kid! What do you think you're doing here? You won't live long in combat! That's for sure! I tell you what kid, electric Pokèmon saved me during the war!" You now realize that there was a war in Kanto. Your father died, and your rival lost his parents. You are among the first generation of people to live in peace at post-war time. The Pokemon War Theory is just a theory. Certainly a Creepy Pasta fan fiction does not constitute a statement of facts. The theory though has become popular because of how well it utilizes the facts in the game. A war perhaps involving nuclear weapons would explain why their are few adults, and many orphans. It would also explain the lack of powerful governments and the lack of knowledge about Pokemon. The children's task of filling in the pokedex would be an act of gaining knowledge of which Pokemon were left after the war. It would also explain why fresh water is valuable as much of the world's water supply could be radiated or otherwise poisoned. For many years fans of theorized about the war. Who was at war, where was the war etc. The most popular theory is that the two regions of Kanto and Johto. However, since Pokemon Go has come out it seems the true nature of the Pokemon War may be revealed. Because Pokemon Go is set prior to the original Pokemon Red/Blue video games meaning that anything occurred directly before those games should appear in Pokemon Go. Want to know about the Pokemon War? Of course you do because lets face it ITS COMING and you want to be ready for it when it comes. Well below are all the posts on the Pokemon War the evidence of it coming and what it could mean for Pokemon Go. What is the Pokemon War? Why is Pokemon Go head directly toward it. 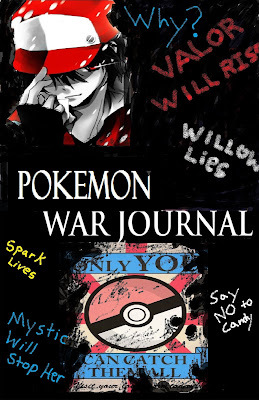 What are the clues we look at all of these things in the Pokemon War Journal! Click on the link to learn more! I love fun Pokemon art. Here is some cool Christmas /Winter/ Holiday themed art I've stumbled upon. Some of these are very cool.